Vividly Colored Genuine Leather with Zippered Closure. Removable Wristlet. Convenient, Compact and Fun. Front panel brightly colored and formed in unique animals. Wallet, or Wristlet design. Perfect to hold Credit Cards, Change, Lipstick or other necessities. 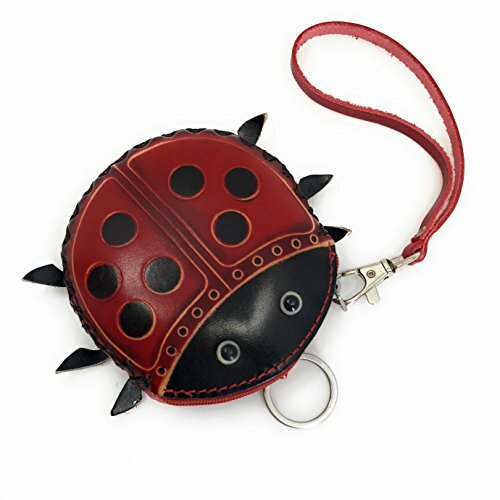 Can be used as a Wristlet Purse or Wallet - Comes with a strong wrist strap that allows this wallet to transform into a wristlet Purse or Pouch. Vividly Colored Genuine Leather with Zippered Closure and Removable Wristlet. Convenient, Compact and Fun. Front panels are brightly colored and formed in unique animals. Wallet, or Wristlet design. Can be used as a Wristlet, Coin Purse or Wallet. Comes with a strong wrist strap that allows this wallet to transform into a wristlet Purse or Pouch. If you have any questions about this product by Ella Sussman, contact us by completing and submitting the form below. If you are looking for a specif part number, please include it with your message.